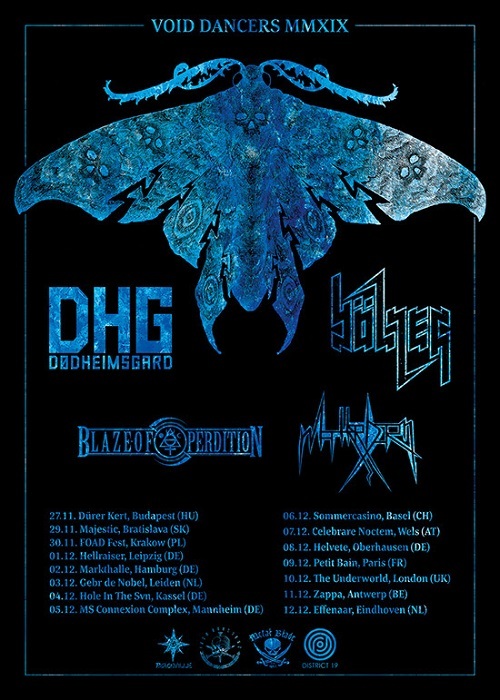 Polish Black Metallers BLAZE OF PERDITION have been confirmed as support for the “Void Dancers MMXIX Tour” taking place in November and December throughout Europe! Co-Headliners will be Swiss legends BÖLZER and infamous Norwegians DHG. Opening up each night will be MATTERHORN! BLAZE OF PERDITION recorded four full-length albums and is currently working on the fifth one, planned for release in late 2019, early 2020.